Cognition in Geosciences: The Feeding Loop Between Geo-disciplines, Cognitive Sciences and Epistemology presents the basic idea that the geosciences can contribute to elucidate some unsolved problems of epistemology and cognition. This book introduces the fundamental concept of a semantic system, which comprises information plus human resources and technology. 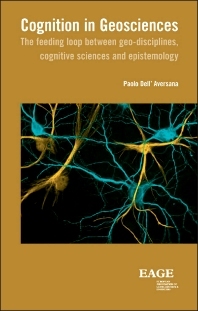 Organized into nine chapters, this book begins with an overview of the fundamental processes of macro-cognition, including spatial perception, creativity, information clustering, information processing, and concept formation. This text then explains how theory and practice in geophysics can elucidate many basic aspects of high level cognition. Other chapters consider the concept of semantic entropy to provide a measure of how much information has been integrated in order to derive coherent significances. This book discusses as well the complexity of linguistic communication in the geosciences. The final chapter deals with the aesthetic experience. This book is a valuable resource for psychologists and neurologists. Students, researchers, professionals and all those who are interested in exploring the cognitive and epistemological fundamentals of the Earth sciences. It can be useful also for managers leading creative teams, as well as to philosophers of science and cognitive scientists. Dr. Dell‘Aversana has degrees in Geology, Physics, and the Philosophy of Science and Aesthetics. He began his career in geophysics in 1988 working in industry. He then worked as temporary researcher at the Department of Geophysics and Volcanology at Naples University. He has held the position of Technical Leader and Senior Geophysicist in Eni SpA since 2002. He is an expert in joint inversion of multi-disciplinary geophysical data, borehole electromagnetics, rock physics, and seismic tomography. He was selected for the 2004 EAGE programme of Distinguished Lecturers and for the 2014/2015 EAGE Student Lecture Tour in Europe. 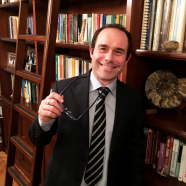 Dr. Dell‘Aversana has published 30 extended abstracts, 40 papers, and 2 scientific books, one of which is Elsevier’s Cognition in Geosciences: The Feeding Loop between Geo-disciplines, Cognitive Sciences and Epistemology (2013).